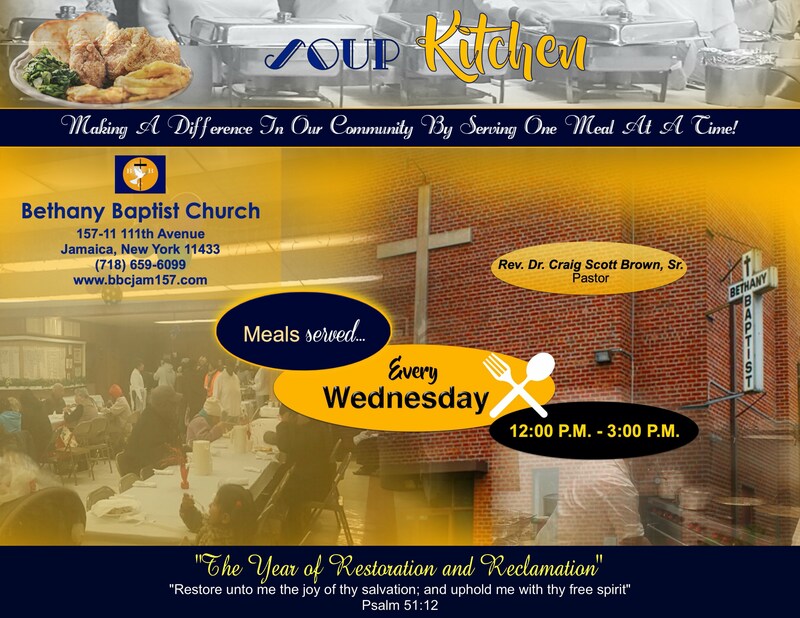 Bethany Baptist Church’s Food Pantry and Soup Kitchen serves the local residents in our community that are hungry and in need of supplemental food assistance. Canned goods, juices, and dried foods are handed-out on Tuesdays from 11:00 a.m. to 1:00 p.m. and a hot meal (lunch) is served on Wednesdays from 12:00 p.m. to 3:00 p.m.
for assistance to supplement their basic food needs. greeting people from our community.